Terrorism in Nigeria highlights is a complex combination of fundamentalism, political calculation and financial interests of both military and police. By Richard Dowden – Director, RAS. Nothing in Nigeria is what it seems. Beneath a confusing, disorderly surface lie networks of association and obligation of which outsiders, and sometimes insiders, are unaware. Money is chopped (stolen), people paid off, budgets looted and shared. Power, political and financial, is never transparent. In other nation states a citizen’s obligations to the state or employer, trump friendship or family connections. In Nigeria the state and institutions often rank far lower than personal affiliations. Outsiders are often shocked at the way public institutions are looted and distributed to buy personal loyalty or simply given to family and friends. The state is not a revered institution serving all citizens. It is a treasure house of power and money to be captured and looted. This, rather than Islamic fundamentalism, is the context of the tragic deaths of Chris McManus and Franco Lamolinara in a bungled rescue bid in Sokoto on Thursday. A group calling itself Al-Qa’ida in the Land Beyond the Sahel claimed responsibility and it is said to be part of Boko Haram. Officials say that the demands they had made for the release of the hostages were confused. What do we know about Boko Haram? It means Western education (books) is sinful and it is a nickname for Jama’atu Ahlis Sunna Lidda’awati Wal-Jihad which means The Group Committed to Propagating the Prophet’s Teachings and Jihad. So far this fits in with a tradition of Islamic fundamentalist movements that have emerged in northern Nigeria over the past two centuries. Some but not all have been violent. Boko Haram was a peaceful, if fundamentalist, Islamic movement from its beginnings in 2002 until its leader, Mohamed Yusuf, was brutally tortured to death by the police in 2009. The torture was captured on film by the police and gave Boko Haram a terrific boost. It then demanded an Islamist state in Northern Nigeria (note – not the whole of Nigeria) and started attacking Christian churches and police stations. The attacks were crude, using home made bombs. Last year Boko Haram was transformed. The bombings of the Police and UN headquarters in Abuja, the capital, which killed more than 100 people were suicide bombings – a phenomenon previously unknown in Nigeria. The culture of Nigeria is mercenary but you cannot pay people to kill themselves. This was real commitment or brainwashing. Secondly, the bombers were using sophisticated explosive devices and thirdly the attacks were on key government institutions. At its core Boko Haram does seem to have very serious intent, it is organised and well-funded and some of its operatives are well trained in techniques developed in Afghanistan and Iraq. 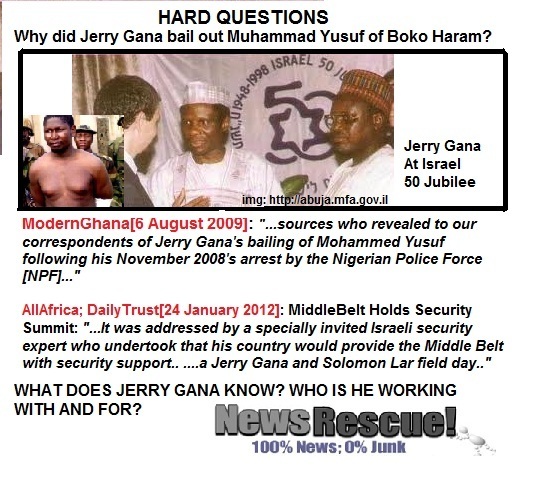 Article linking IBB to Boko pulled after NewsRescue expose! Bible4Africa implicated! However, in the months following the UN bombing, all sorts of attacks were claimed by Boko Haram. 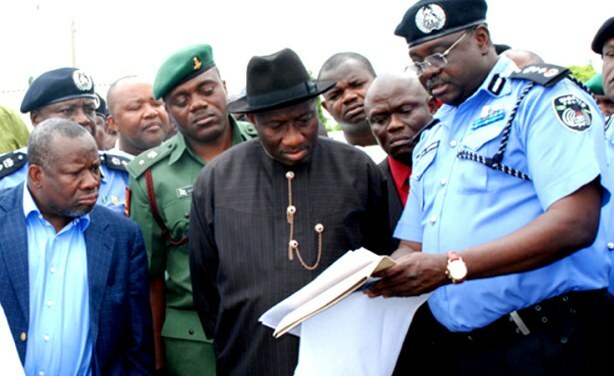 Many of them did not seem to fit its ideology and in November last year the State Security Service issued a statement saying that it had identified four criminal syndicates which were issuing statements or threats in the name of Boko Haram. There have been some bizarre incidents – such as the bombing of a church claimed apparently by Boko Haram which turned out to have been perpetrated by a disaffected member. At least one northern state governor has paid Boko Haram to attack his rivals. A former senior Nigerian government official I spoke with yesterday said that there is a strong suspicion that if you want to settle old scores or kill rivals in Northern Nigeria these days, now is the time to do it. You can always claim it in the name of Boko Haram. That adds real fear to your threats and demands. And it is not just Boko Haram which benefits from the global fear of terrorism. My friend went on to point out that a quarter of Nigeria’s budget of almost $30 billion this year will be spent on the military and security services. The service chiefs will now have to find – or create something – to justify that and keep it flowing. Many of the northern highways are studded with police road blocks which have an excuse and official blessing to engage in a bit of highway robbery. It is very difficult to get through any Nigerian roadblock without ‘dashing’ – paying – the police. But the police are small beer compared to the army. This is the biggest chance the generals have had to ‘chop’ since military rule ended in 1999. Unless they have changed completely, the senior officers will not allow the justification for this level of spending to diminish or die. They now have a major stake in Nigeria’s ‘war on terror’. This is also the case for northern Nigerian politicians who have been funding and possibly even directing Boko Haram. They saw how the politicians of the Niger Delta manipulated the gangs which were attacking oil installations and demanding that oil companies did more for the local communities. The end result was that political power shifted to the Delta with a Delta man as president. If the Delta could do that, so could the north, which has finally lost political power in Nigeria after almost 50 years. And the ordinary people of Nigeria? 150 million of them, more than 60% under 25 years old. 90% of them live on less than $2 a day. Until they see some hope of a future , their loyalty to the state, law, order and stability is easily undermined. As Prime Minister David Cameron is discovering, dealing with terrorism in Nigeria is not straightforward.